Tasting 2 reds and 2 white wines and either a champagne or sweet aperitif wine. 2 canapés served per guest between each serving of wine. All glasses, chillers, crockery to be provided and cleared away. Additional glasses of wine charged at £3 each. 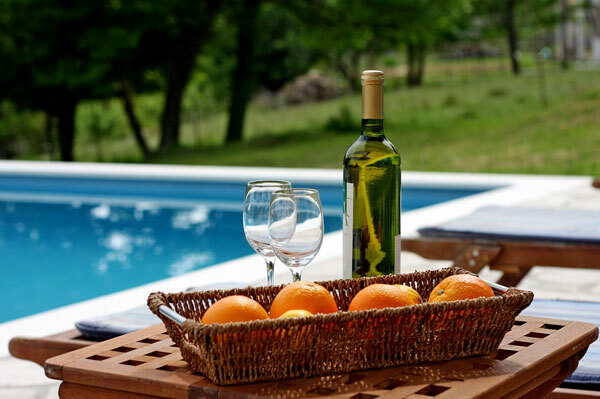 Please request a wine tasting experience at your villa at time of booking/before departure. All charges to be paid locally in advance. Minimum group size 6 persons. A professional chef service can be arranged during your stay at villa DU052E or apartment DU052D. Ideal for a family get together or a celebratory meal. All meals can be prepared for a minimum of four or more persons. To book a chef service please request at time of booking/before departure. Meal service must be paid for locally in advance. A 4 course meal will be charged at approximately £30-£40. Children up to 12 years are charged at £15 for the 2 course children’s menu. Choosing one dish from each course (menu variations can be discussed locally with property manager). Preparation and serving of the meals at table, clearing the table and washing up. Guests may bring their own drinks as price does not include drinks. Rump Steak with Istrian Truffles. Grilled or breaded Adriatic Squid. Rozata (Crème caramel) – A traditional Dubrovnik dessert. Additional Services are on request and subject to confirmation.